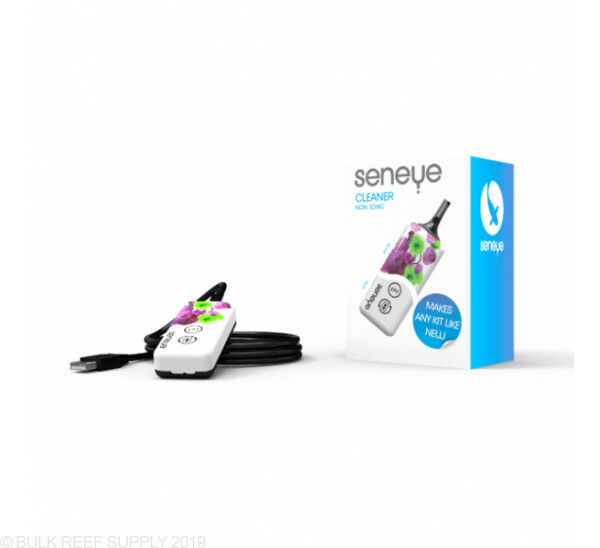 Seneye Cleaner can clean off almost any caked on algae or mineral build up from the monitor. 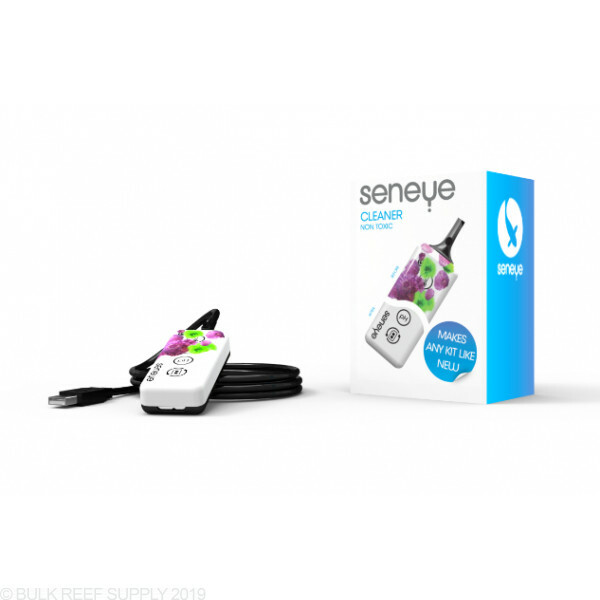 The Seneye Cleaner allows you to take your Seneye monitor and make it look like new. It can remove some of the most caked on coralline algae, and mineral build up. Simply fill a glass of water and empty the non-toxic crystals into the glass. Then place the Seneye monitor into the glass and let it sit for a few hours.